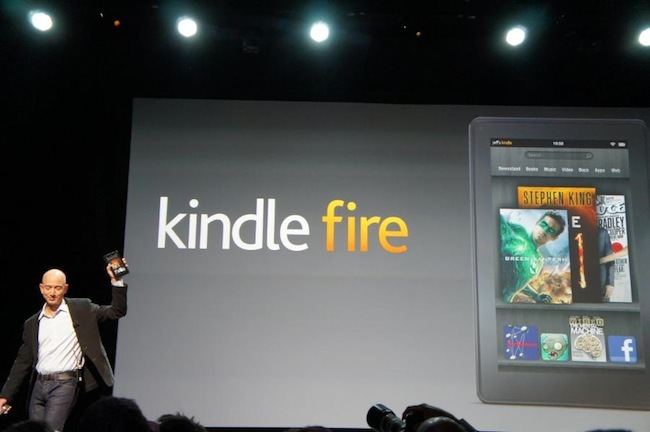 According to global research firm IHS, a Kindle Fire tablet computer costs $201.70 to manufacture. Take a look at the price tag for this recently released slate; it’s sold for $199. That would mean Amazon is actually losing $2.70 for every unit they sell. The research firm’s take on the situation is that the web retailer giant is probably going to initially cover the loss through ebooks and movies that Kindle owners will purchase for their tablet. The figure estimated by HIS covers only materials and assembly and doesn’t even include product development or marketing. The Kindle’s 7-inch touchscreen is actually its most expensive component costing $87 per unit. Perhaps this loss will eventually be mitigated by the tendency of electronic materials such as chips to decrease in cost over time. This is why new gadgets are always more expensive to make on the onset. Amazon CEO Jeff Bezos also publicly stated that they only expect a small profit from the hardware and that as a retailer they’re better at handling small margins that electronics companies.